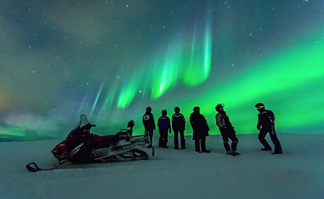 Create some lifetime amazing memories with spectacular Northen Lights tour in Norway. This 7-day or extendable 13-day (most recommended) northern lights holiday tour package includes visits to Tromsø, Polaria museum, Valley of Finn, Hurtigruten Cruise, North Cape Kirkenes, Norwegian Fjords, The Flåm Railway, Bergen among others. Read more for the day-wise tour itinerary, flights, and hotel stay. Contact us to book your tour today! Take flight from Mumbai to Oslo. 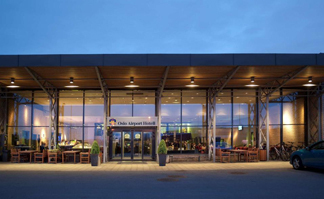 Stay Oslo airport hotel on bed and breakfast basis. Arrival at Tromsø Airport, upon arrival at the airport individual transfer (not included) to Tromsø center, the beautiful arctic city, by Flybussen (Airport Shuttle) or by taxi. Check in at the Clarion Hotel The Edge. This day is at your own leisure to explore Tromsø. Sights of interest include the Polar Museum, Northern Light Planetarium and Tromsø Museum. 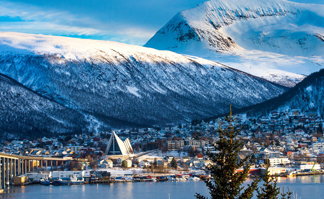 The arctic city of Tromsø is the most northern university town and the largest city above the Arctic Circle. The city lies between the sharp craggy peaks of the Lyngen Alps, and combines wild scenery with urban life. Due to the city’s location right in the middle of the planet’s Northern Light’s belt, Tromsø offers the world’s best chances of spotting the Northern Lights. Overnight at Clarion Collection Aurora or similar (2 nights). Breakfast at the hotel and morning at your leisure to discover the Arctic’s Capital including the visit of the Polaria museum. This museum is just five minutes’ walk from the center of Tromsø and you will discover more about the Arctic nature. In the afternoon, departure for your excursion, which includes fun and adventure on a snowmobile! The snowmobile safari winter adventure goes through the valley of Finn, to the lake of Tamok (about 15 km one way). You will be driving in pairs, one driver and one passenger on each snowmobile, with opportunity to switch places half way. A thorough safety introduction will take place ahead of starting up. Due to the dramatic topography reduced speed is held during parts of the tour. On flat land and frozen lakes, you can speed up. A hot meal will be served during the adventure. Breakfast at the hotel. Day at leisure in Tromsø before checking in for your next adventure – the Hurtigruten. 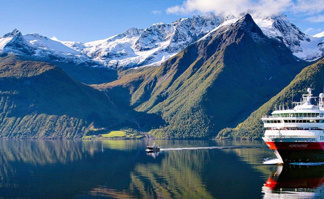 Enjoy a beautiful north cruise along the spectacular Norwegian coastline. As the journey to Kirkenes hugs the coastline you visit remote settlements which rely on the Hurtigruten ships to maintain contact with the rest of Norway. Departure from Tromsø at 18:30. Overnight and dinner on board Hurtigruten in unspecified outside cabin (2 nights). After a short stop in Hammerfest, your journey will continue to Honningsvåg. Breakfast on board Hurtigruten. 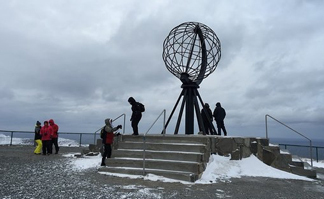 At 11:45 arrival in Honningsvåg – from here you will join an excursion to mainland Europe’s most northerly point, North Cape. This is a wild and windswept headland where the cliffs rise dramatically 300 meters from the sea, and we gaze out with nothing but water between you and the frozen wastes surrounding the North Pole. Sailing on, you bear east, and eventually reach the sheltered harbor of Kirkenes, a mere 10km from the Russian border. Breakfast on board Hurtigruten. While you sleep the ship continues sailing east along the Varanger peninsula, past Båtsfjord and Vardø. At 09:45 you will arrive in Kirkenes. At 13:00 you are met by a fisherman, you will be provided with warm clothes, boots and mittens before you set out to be a fisherman of king crabs for the day. 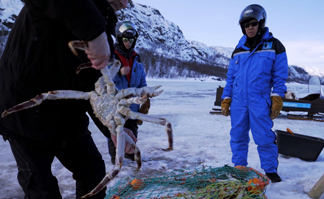 The big catch, the king crab will be served as lunch at a home of one of the fishermen. The duration of the tour is four hours. After the tour you will be met and transferred to the Kirkenes snow hotel. Overnight and dinner at Kirkenes Snow Hotel. Breakfast at the hotel and transfer by minibus back to town. Transfer to airport for flight to Oslo. 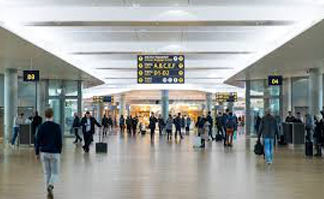 Stay Oslo airport hotel. 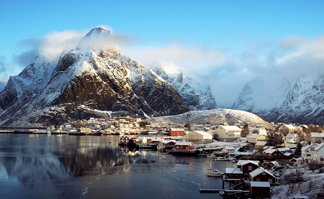 You have the option of extending the trip to visit the Norwegian Fjords in winter. This is highly recommended extension. The extension itinerary is below for your perusal. Optional extension to Norwegian Fjords! We highly recommend this…. Breakfast at the hotel. 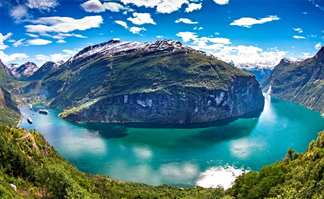 Today you will experience Norway’s most popular round trip; Norway in a Nutshell. 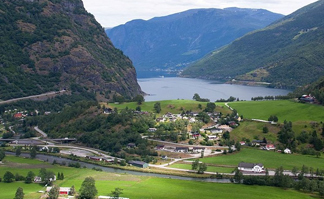 The excursion takes you through some of the most beautiful scenery in Norway’s fjord region; you will travel by train across the Hardangervidda Mountain Plateau and down the Flåm Railway. The Flåm Railway will take you through wild and beautiful mountain scenery and down to the Sognefjord. There is no other adhesion railway in the world running on normal tracks that are so steep over a long distance. Upon arrival in Flåm you have time to walk around this quaint little village. In the evening you will go on a guided cultural walk with a dinner and beer tasting. Dinner includes smoked reindeer, shellfish, fish and shellfish soup, pork shank and dark chocolate ganache cake. You will be served 5 beers for your meal, one for each type of food. Overnight at Flamsbrygga Hotel or similar. Breakfast at the hotel. 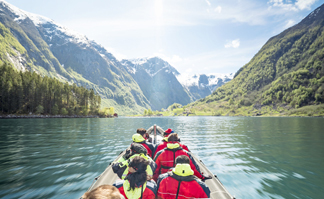 Today you will be doing something active… something that will enable you to see the surrounding area of Flåm as well. You will hike the local mountains up to Stegastein viewpoint in Aurland. Enjoy the amazing view and experience how it is to hike in traditional snowshoes. You will be served hot beverages while your guide tells you all about the culture, history and way of life in this unique place. Enjoy and don’t forget to take the camera with to capture the natural beauty. Overnight at Flamsbrygga Hotel or similar. From Flåm you continue by boat on the Nærøyfjord, Europe’s narrowest fjord, to Gudvangen. From here you go by coach to Voss where you will board a train for the last stretch of the journey to Bergen. Arrival in Bergen – Norway’s second largest city. You will have a whole day tomorrow to explore Bergen but do take some time stroll the streets of this cute, little city. Overnight at Grand Terminus Hotel or similar. We recommend a visit to some of Bergen’s many attractions as for example the Hanseatic Bryggen Harbour, the Fløibanen Funicular, which takes you up to a height of 320 metres above sea level where you are presented with a great view over the city, Grieg’s home Troldhaugen, the Fish and Flower Market or the Bergen Aquarium. Use this day to get to know the city and all it has to offer. Overnight at Grand Hotel Terminus or similar. Breakfast at the hotel. Morning departure from Bergen by train. 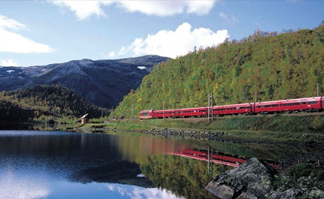 The trip from Bergen to Oslo is classed one of the finest train journeys in the world. The railway connects Norway`s two largest cities and presents the variety of Norwegian scenery. 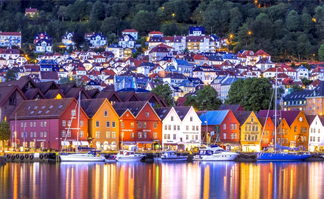 Bergen is the only city in the world that is surrounded by seven mountains and seven fjords. Overnight at Thon Hotel Opera or similar. No booking/blocking is made, rates prevailing at the time of actual confirmation will be applicable. Exchange rate as prevailing on the date of actual settlement with a vendor will be applicable. This tour is based on seat in coach basis with other passengers with you. Dates can be changed and the tour will be conducted if a minimum of 2 adults are traveling.